Enjoy the sweet taste of sugar cookie flavor which will keep you engaged till the end. This very flavor is packed with lots of delicious and sweet taste, which will give your cooking a good twist. 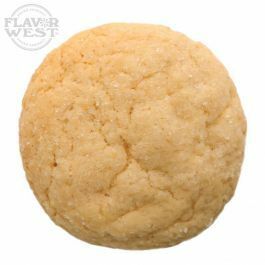 Type: Sugar cookie Water soluble flavoring. Ingredients: Natural and Artificial Flavoring and Propylene Glycol. USP Kosher Grade Flavoring. Usage Rate: 15-20% for E-use. Flavor suitability: Desserts, cakes, pastries, ice creams smoothies, drinks, beverages, baked treats and more. Specific Gravity: 1.05 No Refunds on Flavoring.